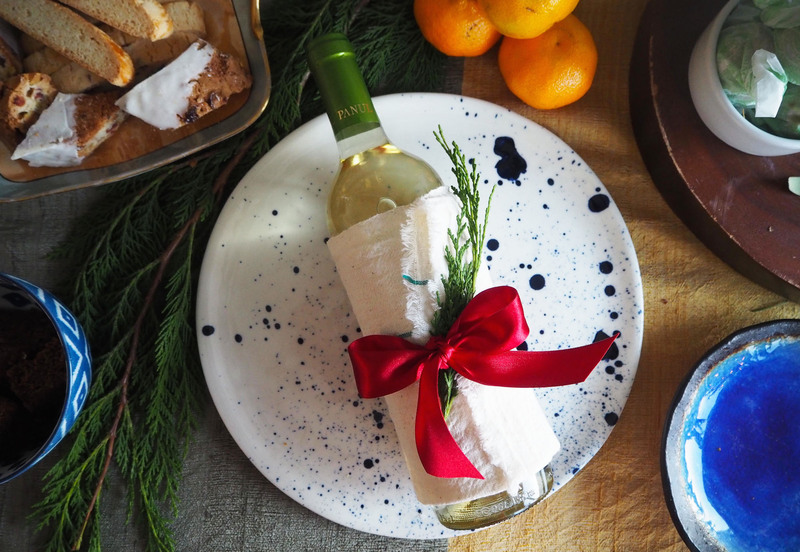 Bringing a unique hostess gift is such a nice thing to do but sometimes (especially during the holidays) we are all so busy that it is easiest to just bring a bottle of wine and call it a day. Here is the EASIEST way to elevate your wine bottle hostess gift to something that looks beautiful, feel unique and takes less five minutes to do. Objects: Wine Bottle, A new Tea Towel, Ribbon and a little piece of greenery. Directions: Wrap the tea towel around the bottle of wine. Tie together with the ribbon (or twine looks beautiful too). Add a little piece of winter greens to add some color. And your DONE! 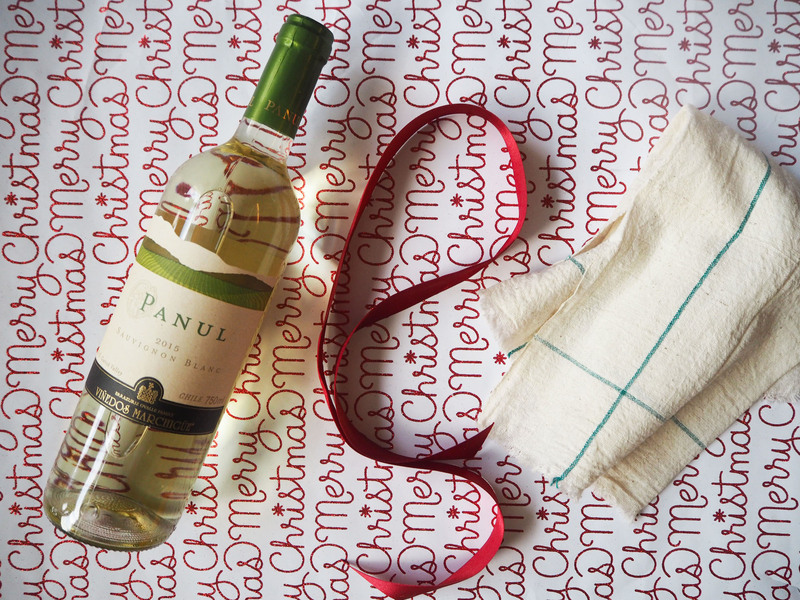 The hostess gift is so pretty and includes a bottle of wine and a new lovely tea towel for the kitchen.